Apps for smartphones come and go and oftentimes, people are easily tempted to subscribe to many of them. Unknowingly, they end up spending so much on these applications that they’re not even using regularly. The low price of these apps or the absence of it is what normally attracts people to buy them instantly without much thought. But when this buying habit happens frequently, the cost can get high. 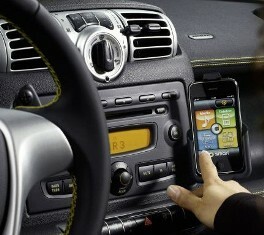 Fortunately, there are very useful and free car apps ideal for iPhone users. They provide useful information and help people save money moving forward. Gas Buddy – This is a free and crowd-sourced app that helps users locate gas stations in your area that offer the cheapest prices. The information used here is based on data submitted by users on a regular basis. The app does its job via the GPS when it gets information on the user’s zip code after which it shows a list of gas prices in the surrounding area. RepairPal – The job of this app is to provide users with a cost estimate for car repairs. It’s a known fact that not all auto repair shops and auto mechanics are honest in their dealings with customers. Many car owners have been charged with high prices just for a very minor repair but with this app, you won’t have to worry about being duped again. Waze – Another free app, this one works in a similar way as GasBuddy with 300 million users at the moment. It provides updated gas prices, alerts on road hazards, approaching traffic jams, police traps and accidents. In addition, it has a voice navigation feature and allows a user to share his destination via a live map. The best part is the app can be used in a hands-free mode so you can concentrate on your driving. GasHog – This is a simple app that helps users monitor their fuel consumption. To use it, you only have to enter the reading of your odometer and the amount of fuel added when you gas up. Honk – This one helps users keep track of their time in the paid parking area to avoid tickets. This app has an alarm that can be set according to the amount of time paid to park in a certain area. It will then alert the user when the meter runs down. iFind My Car – A very useful app, it helps users find the parking location of their vehicle. It records the current location of your car using the GPS feature and when you’re reading to go back to your vehicle, one simply taps the Walk Me button and the app will vibrate when your car is in sight. All three of these paid apps are very affordable at only $0.99. Other than these useful apps, though, it is a must for car owners to always have an appropriate insurance coverage. To purchase a new policy, you can compare car insurance rates first using an online comparison site.